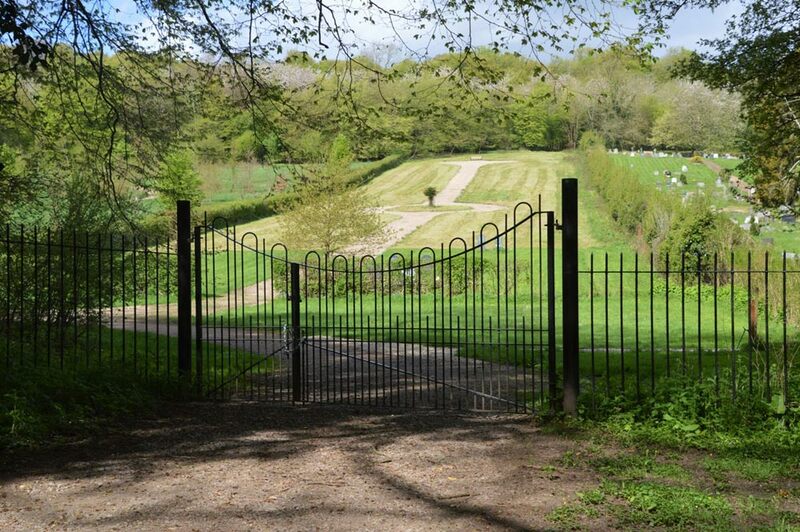 Chesham Bois Burial Ground has two beautiful formal burial grounds, the original one was established in 1924 and we opened a new formal burial ground in 2006 to provide more plots and level access. The Original Formal Burial Ground is the area nearest to the main entrance at the bottom of the hill. It is laid out in rows on both sides of the path leading to a bench with stunning views at the top of the hill. The New Formal Burial Ground runs in parallel up the hill from the opposite side of the Chapel and offers its own central pathway with rows to either side, leading up to a bench with views at the top. We have a designated area of consecrated land (which has been declared sacred by the Church of England) for those who would wish to specify this, alongside a majority of un-consecrated land for those of other denominations and those of other faiths or none. We can offer a much larger choice than usual for plot location, including plots for interring ashes as well as burial plots. Unlike many other sites, we do not insist on the ‘next plot along’. Our Sexton will be happy to help you choose the right plot for your loved one. All our formal burial plots can be double depth, to allow for two formal burials, as well as an additional 3 caskets of ashes. It is also possible to reserve family plots which are double width as well as double depth and could include 6 caskets of ashes. Plots for children or ashes alone are also available.